Tee shot must be just inside trees on the right. Fairway slopes right to left. 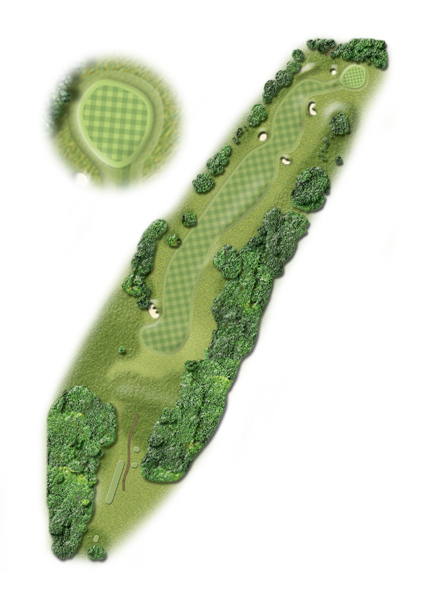 For a shot to the green, tee shot needs to finish on left hand of the fairway. The out of bounds near the green make the second shot, if you’re going for it, interesting.